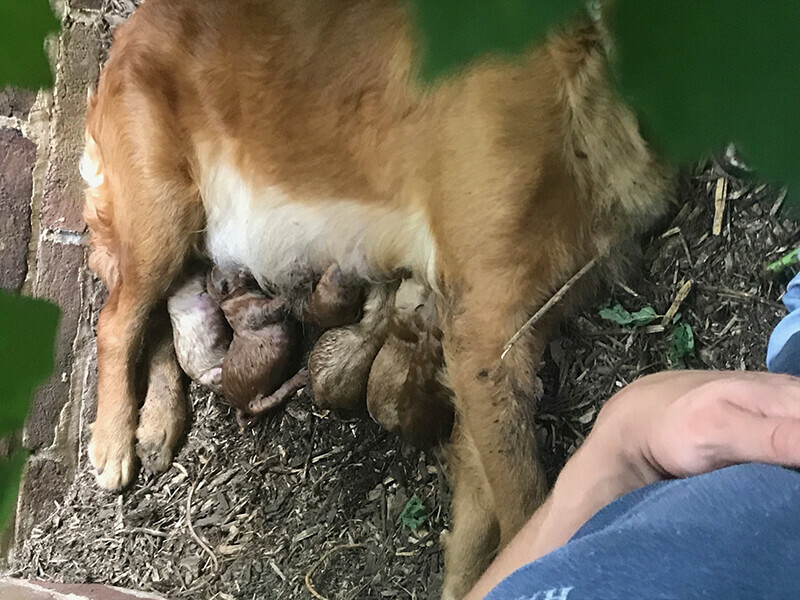 We are excited to announce the special delivery of 8 precious puppies born July 2nd to Princess Leia at Calo Young Adults in beautiful Winchester, VA. There are three males and five females. Colors range from light to dark gold. 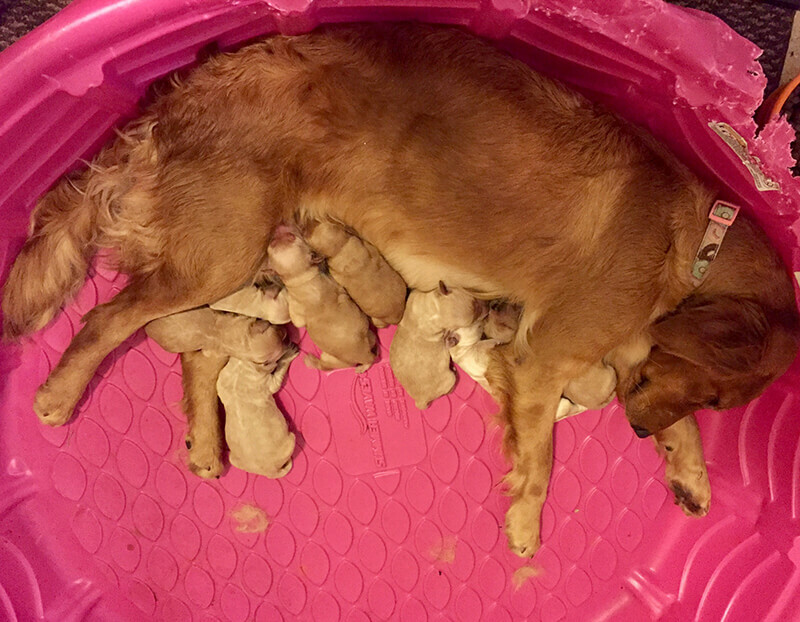 The puppies are fathered by Aaron of Calo Lake Ozark (Jake’s son). We are so excited for this litter. We carefully selected Princess Leia (not available for adoption) who has a small build and short coat. She is caramel golden with an ideal temperament to mother puppies from our beloved Calo Jake lineage. Aaron (not available for adoption) was the students’ pick of the litter from Calo canine Cali and Calo Jake March 24th, 2015. What a perfect pick he turned out to be. 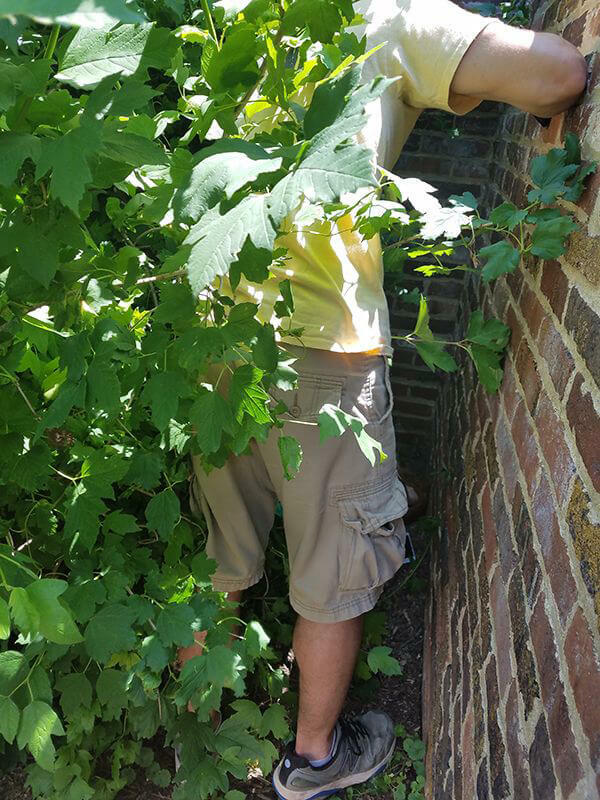 He is short and stalky with the “classic” head (huge). 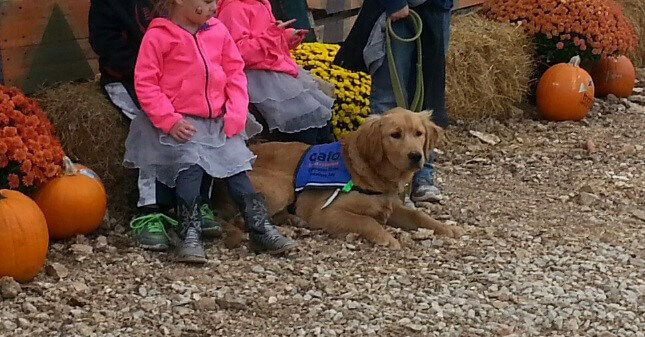 He is light golden and has his father’s temperament, which is ideal for the work Calo canines’ doo. This pairing will help us achieve smaller, easier to handle Goldens rather than the 100 (+) pounders like Bruno and Lightning. Not that we don’t love them like crazy, but seriously, 100 (+) pound Goldens. We offered Leia a short water break, which she accepted. At that time, we decided to move the puppies into the whelping room. She followed excitedly. 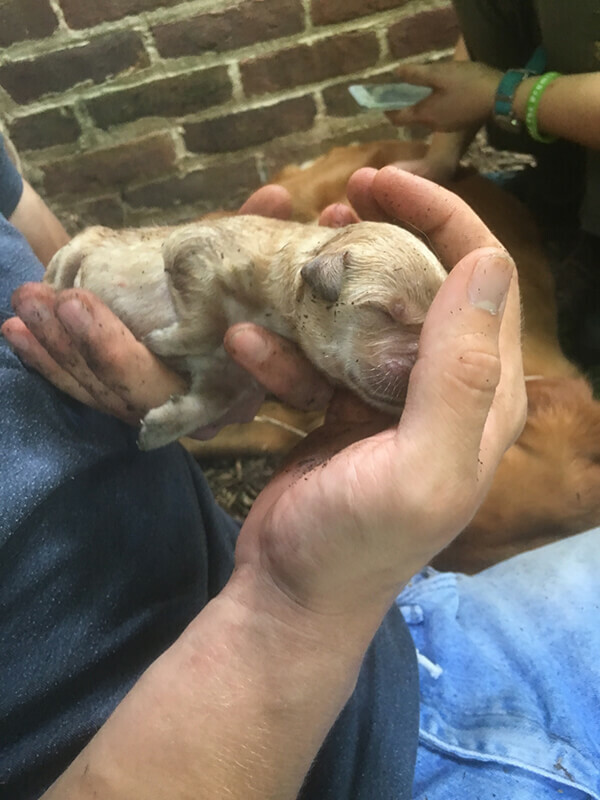 As she got snuggled in, here came the last puppy. We got everything all cleaned up, and the special delivery was over at about 3:30 pm. All the students came in to visit mommy and puppies, taking pictures and exchanging stories from the special day’s events. Visiting hours were over at 7:00 pm so mommy, puppies, students, staff (including canines’ Bruno & Stella) could relax, decompress and reset. Some even needed to emote, after all, it was a very emotional day. The students decided to name the puppies with Independence Day themed names. They will submit names by petition and seek the majority of their community’s support for the name. As the petitions come in, the puppies are picked by the petitioner(s) to be named that specific name. The students here are all excited and very busy getting signatures for their preferred name. All students are aware that just because they petition to name a puppy that does not give them claim to the puppy. There is a foster/adoption process that all our Calo teens and young adults are offered. If they chose to participate, it could result in the adoption of the canine they connect with during their stay with us. There’s been a lot of excitement this week, and I couldn’t be more excited to have been a part of the experience.